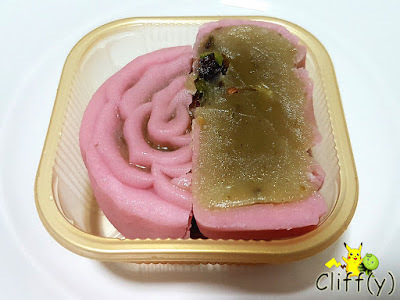 Have you tried a mooncake with red date paste and roselle? Happy birthday, Pikachu! 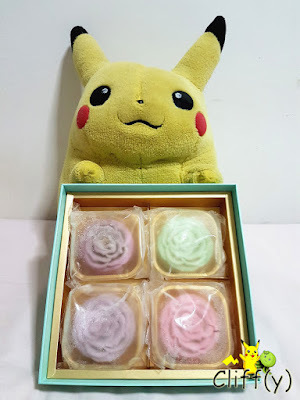 In conjunction with the Mid-Autumn Festival this year, Pikachu received flower-shaped mooncakes from Man Fu Yuan, a contemporary Chinese restaurant housed inside InterContinental Singapore at Bugis. The restaurant unveiled four new garden-themed snowskin mooncakes. Pretty as they were in terms of appearance, they could be better if the texture of the skin were chewy instead of pasty. Let's take a look at each of the flavours included in the set. 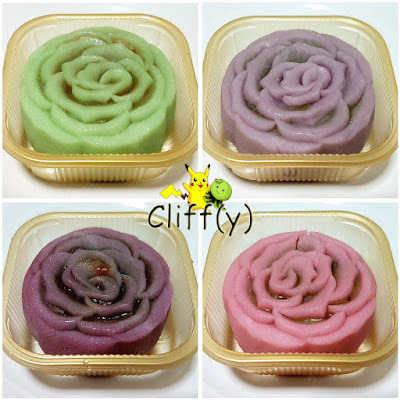 The white lotus paste with pandan was my least favourite. Even though it was fragrant enough, the paste was a tad too soft compared to the rest. 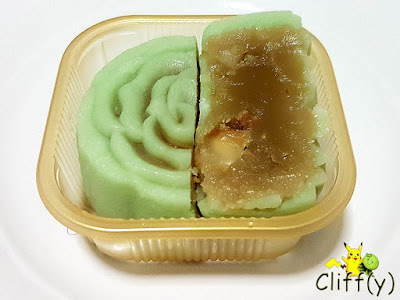 There was only a few macadamia nuts inside the mooncake. 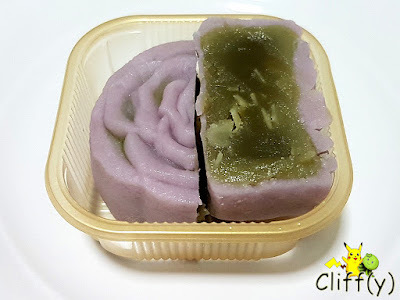 The white lotus paste infused with green tea was somewhat aromatic, interspersed with almond flakes that provided a nice contrast in terms of texture. I could hardly detect the rosemary fragrance in this one though. It was a pity that the aroma of rose was pretty faint, but pleasant nonetheless. I enjoyed the not-so-sweet white lotus paste studded with white lotus seeds and savoury pistachios. To me, the most interesting twist turned out to be the best one in the set. 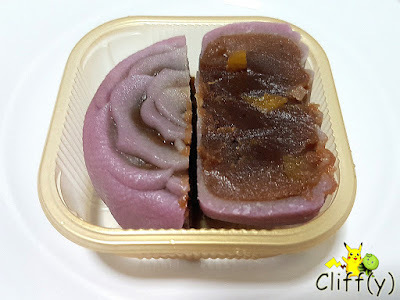 A refreshing change from the usual lotus seed paste, the red date paste was pretty luscious with an earthy and smoky hint from the hibiscus. In all honesty, I was a little bit disappointed as I'd harboured high expectations of the mooncakes. Nevertheless, I definitely relished the one with roselle and red dates. Pika's advice: Should you order online now, you can get the set for S$51.30 instead of S$72.00. I'm not sure how long will the discounted price be applicable until though.